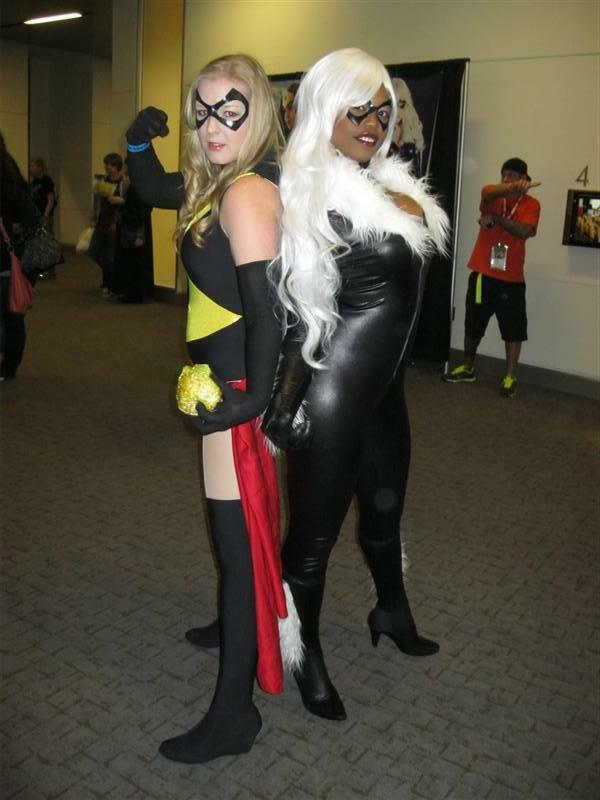 Ms. Marvel & Black Cat. 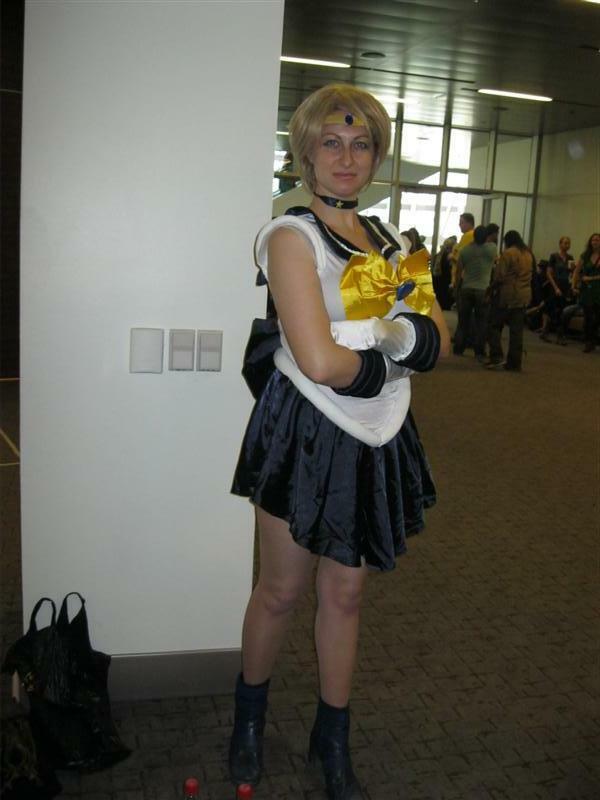 Sailor Uranus, who put up with far too many of my dirty astronomy jokes. 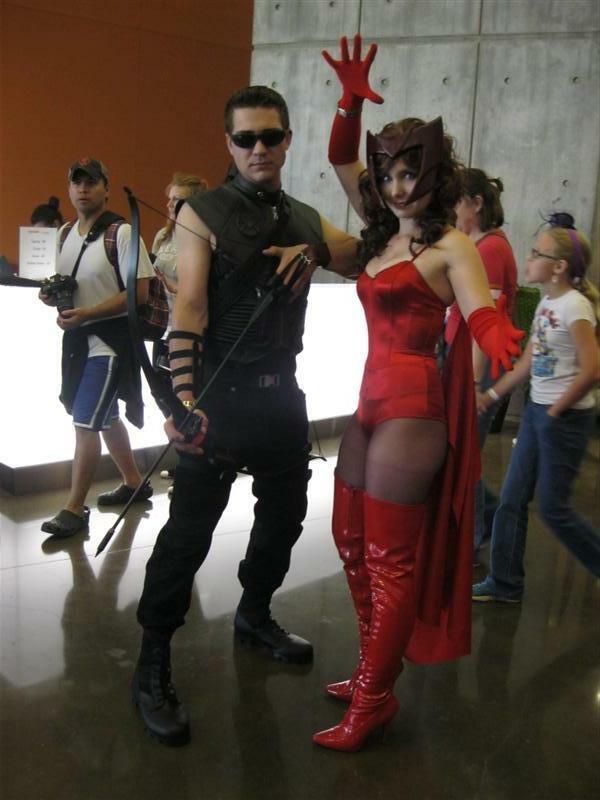 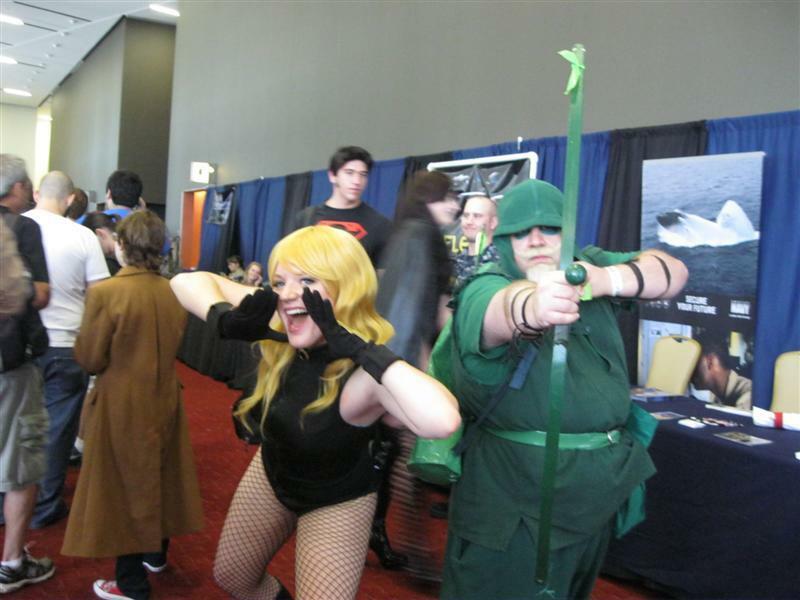 Black Canary and Green Arrow. 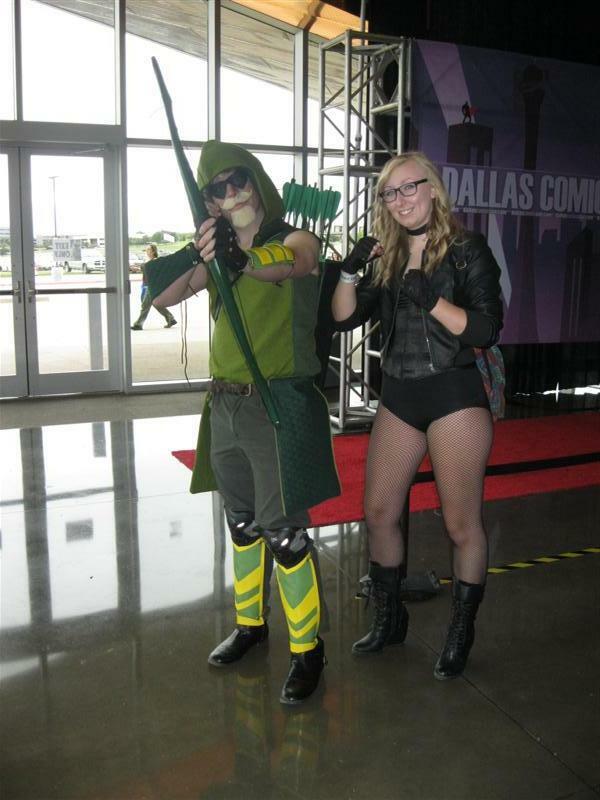 The Green Arrow may look a bit familiar. 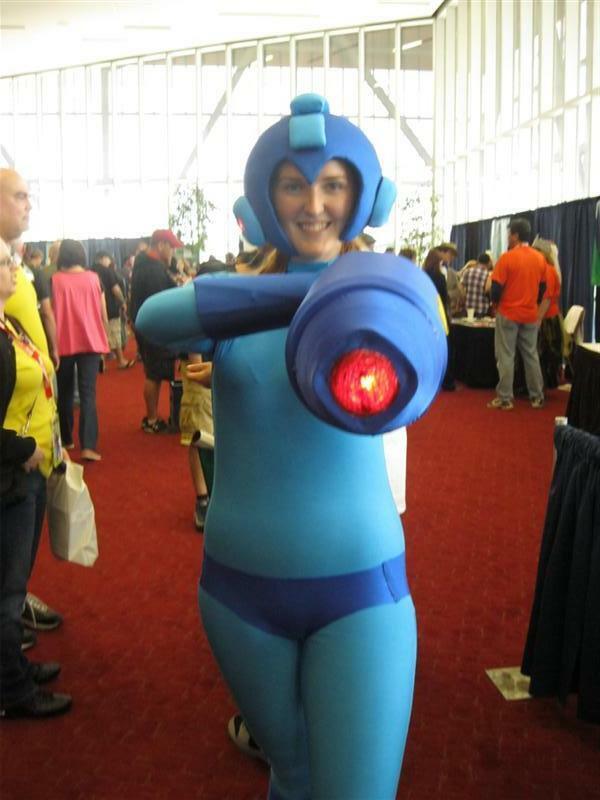 My friend Natalie as Mega Man. 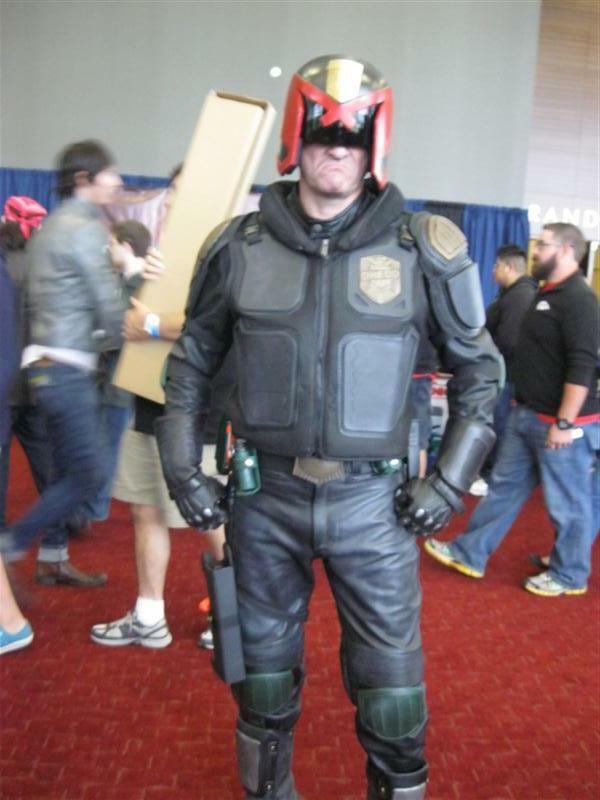 Judge Dredd, caught on camera smiling. 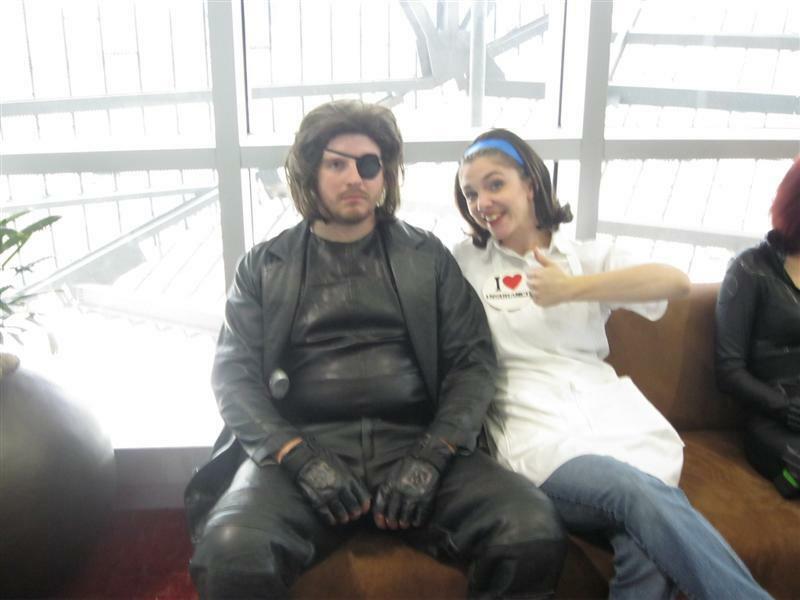 Despite the excellent deals Progressive has to offer, Flo cannot cheer Snake Plisken. 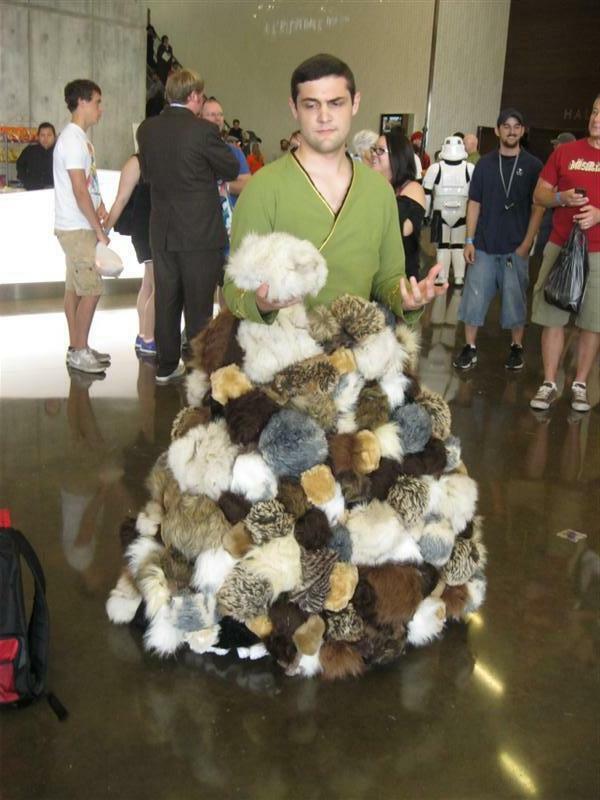 Captain Kirk, having some trouble with Tribbles. 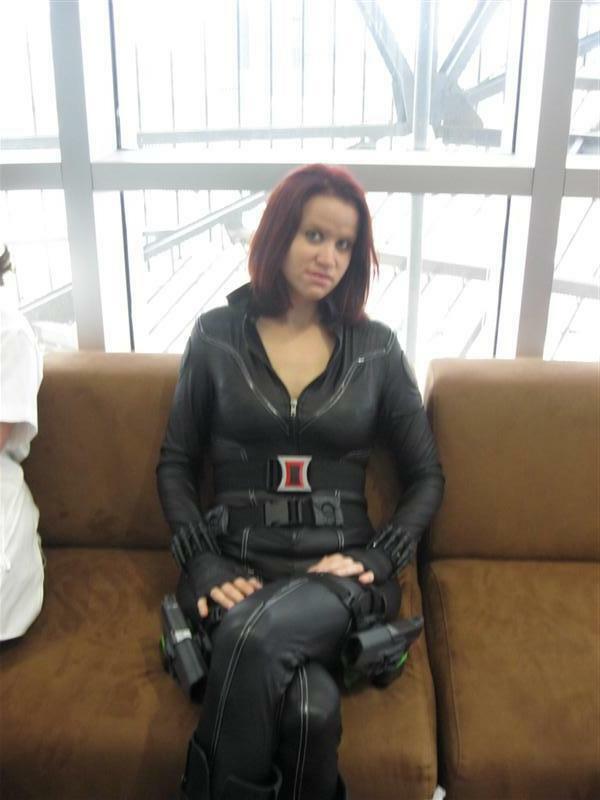 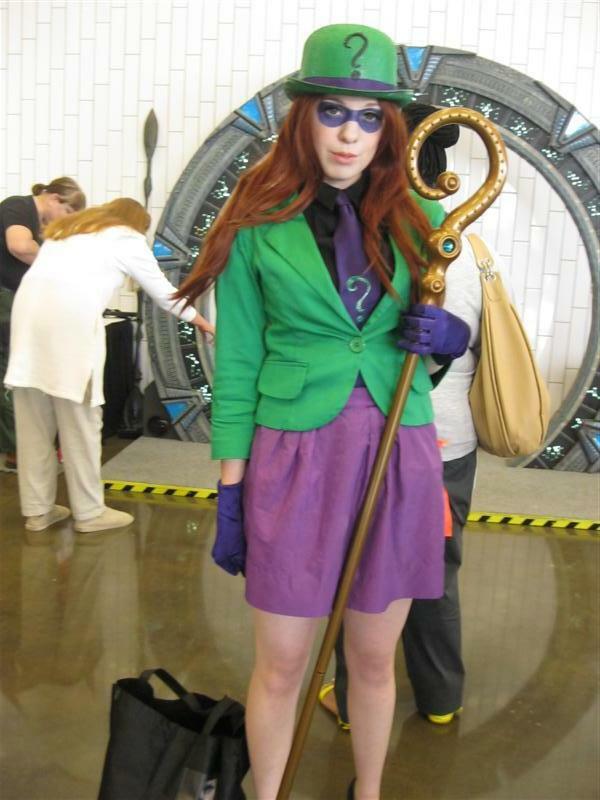 My friend Lizzie as The Riddler. 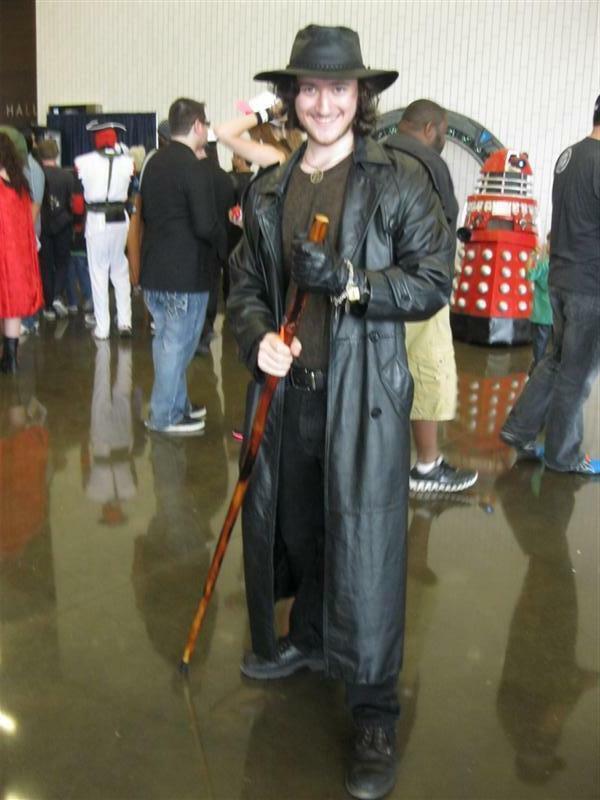 Harry Dresden, seconds before my camera exploded. 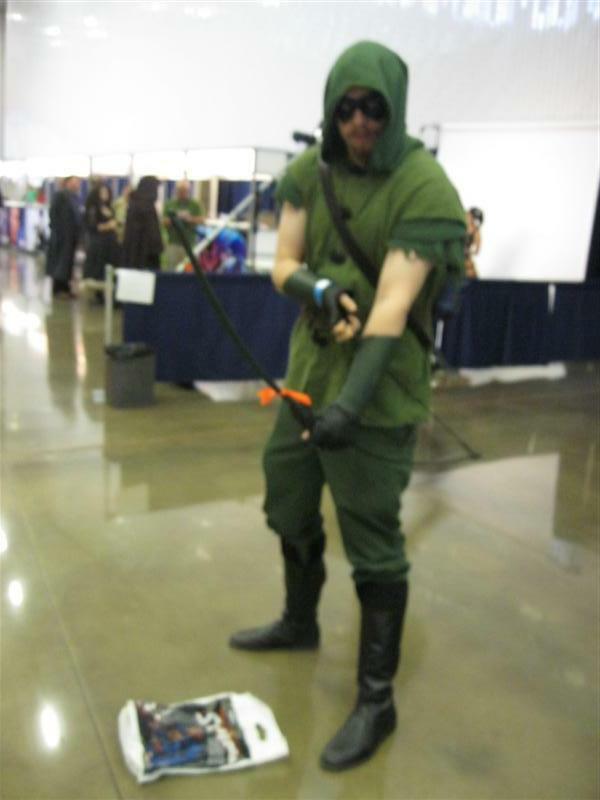 Stupid Hexus curse!